Need to connect your Juniper Systems’ handheld with a Bluetooth® device? In this post, we’ve got you covered. Most of our customers using Bluetooth are pairing devices that use a Bluetooth Serial Port Profile (SPP), which includes GPS receivers, some barcode/RFID scanners, and laser range finders. We’ll start with that. To connect a device that uses a Bluetooth profile other than SPP, you’ll need to use Microsoft® Bluetooth Manager. We’ll cover that later in this post. 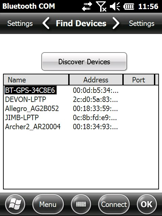 If your device uses a Bluetooth Serial Port Profile, there is a simple way to connect it to your Juniper Systems handheld, using the Bluetooth COM setup utility, which comes built-in on the Allegro 2™, Archer 2™, and Mesa® handhelds. • Stay within the specified range of both Bluetooth devices (whichever range is the shortest). • Keep line-of-sight between the Bluetooth devices. 1. Open the Bluetooth control panel by pressing and holding the Bluetooth icon on the home screen. 2. A menu will pop up asking you to Select Bluetooth Device Type. 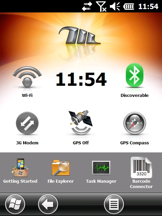 Click on the second button: GPS, Barcode scanner, (COM). 3. The Discover Devices screen will now appear (If this doesn’t work, or you can’t find the Bluetooth icon on your home screen, you can navigate to Bluetooth COM under Start > Settings > Connections tab > Bluetooth COM icon). 4. 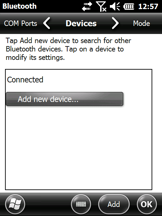 Turn on your Bluetooth device, and confirm that its Bluetooth is on and it is discoverable. 5. Click the Discover Devices button. Nearby discoverable Bluetooth devices will begin to appear. 6. When the search is complete, select your device, and tap the Connect button in the lower right of the screen. 7. The software will automatically try to connect using the most common pairing codes, such as 0000, 0183, 0123, 1234, etc. If a pairing code is discovered, a connection will be established, and a COM port will be assigned. 8. That’s it! You’re done! 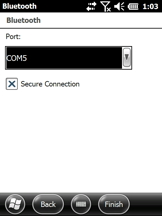 Be sure to select the assigned COM port in your application, and you are ready to work. 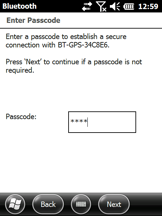 If you’re connecting a Bluetooth device that uses something other than an SPP Bluetooth profile (or if you are unable or prefer not to use our custom Bluetooth COM utility), then you will need to use the Microsoft Bluetooth Manager to set up the connection. Juniper Systems products all come with the Microsoft Bluetooth stack driver and Bluetooth Manager settings utility pre-installed. Turn on the handheld (insert the Bluetooth adapter card if you don’t have integrated Bluetooth—on older models only). Wait several seconds for the Bluetooth to appear and/or turn on as shown on the Today screen or home screen. To enable Bluetooth (if not already enabled), tap on Start > Settings > Connections > Bluetooth icon. 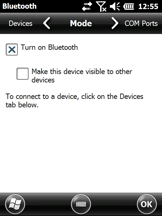 Tap on the Turn on Bluetoothcheckbox to turn on Bluetooth. Note: If you’d like the handheld to be visible to other Bluetooth devices, tap on the Make this device visible to other devices checkbox. Turn the other device on, enable Bluetooth, and make it discoverable (if necessary). If the device was previously connected to another computer, you may need to clear or remove the previous partnership (such as by scanning the “reset” barcode in the user guide of a barcode scanner). On the handheld, tap on the Devices tab > New Partnership or Add New Device option. Wait for the handheld to complete searching for all nearby discoverable Bluetooth devices. Tap on the device you would like to connect to, and then tap Next. Enter the Bluetooth device’s security Passkey. If the device does not specify or require a Passkey, enter 0000 (or 0183 for some GPS receivers). If no passkey is accepted, leave the field blank, tap Next, and then when asked if you would like to add the device to the device list, tap the NO button. Note: The Bluetooth device to which you are trying to connect with the handheld may require a re-confirmation of the Passkey. Confirm the Passkey as instructed on the device (or use 0000), and then return to the handheld. 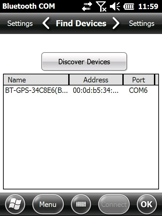 Once the passkey has been accepted and the connection is established, in the Partnership Settings screen (may need to tap Advanced, or click on the device you just connected with), check the box next to the service (profile) of the device you would like to use (most often Serial Port, especially for GPS receivers). Note: Not checking the box next to a service may cause future issues when trying to connect using that service, such as when assigning a virtual Outgoing Port number to the device if the Serial Port service has not been checked. If the partnership was successfully created, tap Finish or Save. The device name should now appear in the Bluetooth Devices list. You may also need to tap and hold on the name of the device, then select Connect or Set As… to immediately enable the connection. 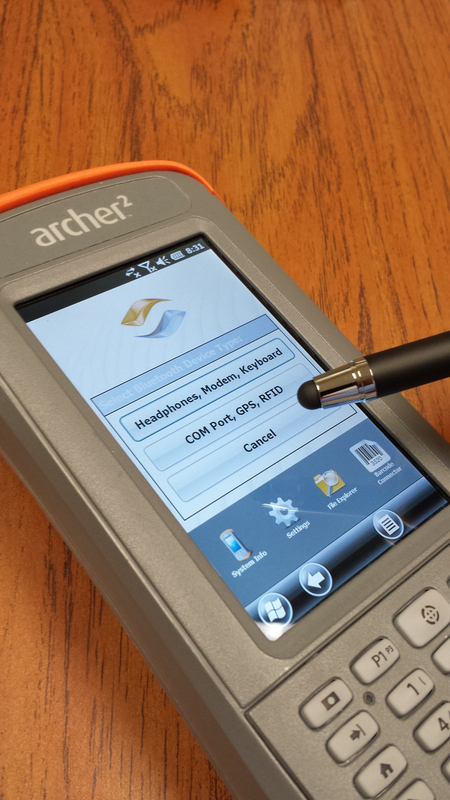 If the device should be connecting immediately but is not, you may need to reset the device or clear settings in the device (such as scan the “reset” barcode in the user guide of a barcode scanner). 1. Tap on the COM Ports tab. 2. 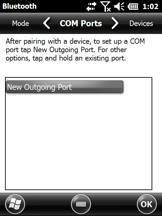 If you’re connecting to a GPS receiver, printer, or another peripheral device, tap on the New Outgoing Port option. 3. If you’re allowing another handheld, Bluetooth-enabled computer (ActiveSync), or another communication-hosting device to connect, tap on the New Incoming Port option. 4. Select the device from the list of device partnerships, and then tap Next. 5. Select a COM port number from the Port: drop-down list, and then tap Finish. Note: We recommend to UNCHECK the Secure Connection checkbox. Occasionally users have experienced issues when this feature is enabled. To confirm the success of the new COM port assignment, check that the device name and COM port number appear in the Bluetooth COM Ports tab. If you have any questions about connecting a Bluetooth device to Juniper Systems’ handhelds, feel free to give us a call at 435.753.1881 and we’ll be happy to help. Resources for this post provided by O’Ryan Smith, Product Support Engineer, and John Florio, Product Manager. Every man has a phone or electronic music device. Sometimes its need to connect a Bluetooth device. But it is very difficult for a men. In this term this post fully help. Thanks. Helpfull post with details procedure that make a man interested. This site is very helpfull to me and wish to all………. Thanks, John Florio! Your post is what I am looking. My phone utilizes a Bluetooth Serial Port Profile so your simple way for connecting it to Juniper Systems handheld is really helpful. Very informative and useful article, because all illustrated and easily understandable explanation. Thank you John for your work! Bluetooth connects to very easy to any device and is very easy. It is user-friendly and one of the best popular technology. about Bluetooth and its working is helpful for the user. we all have our smartphone and sometimes we need to connect with Bluetooth. though it connects very easily to any device often we can face some connection problem related to it. the steps mentioned here how to connect a Bluetooth is useful enough. 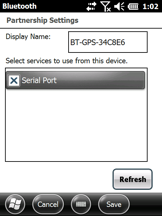 Bluetooth is pairing devices that use a Bluetooth Serial Port Profile (SPP), which includes GPS receivers. It is user-friendly and one of the best popular technology. 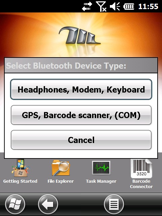 Bluetooth is pairing devices that use a Bluetooth Serial Port Profile (SPP), which includes GPS receivers, some barcode/RFID scanners, and laser rangefinders. We’ll start with that. Helpful post with details procedure that makes a man interested. Bluetooth connects to very easy to any device and is very easy. It is user-friendly and one of the best popular technology. Bluetooth connects to very easy and fast to any other device. It is user-friendly and one of the best popular technology. Bluetooth is the important part of any device. Bluetooth is an old method and I do not prefer Bluetooth but it is also true that sometimes we need Bluetooth and avoid all the technologies. Thanks for providing me such a great information. Bluetooth is pairing device which is very helpful and easy to connect. thanks for this info. i’ll try this to my handheld.